Jesse Hoover always wanted to be a police officer, but that dream died, and he went to work for an HVAC contractor. After that he worked for a plumbing company, and eventually ended up installing cabinets. He learned during this time how to be efficient with his time. When working alone, it’s very important that you learn how to problem solve by yourself. This can be a key trait to completing a job successfully. And then in your free time, start doing more of that. That may just open the doors to start a business and go full time. Jesse has found that Instagram helps build trust. Use geotags to show where he is from and where he wants to work. Document. Document. Document. It builds trust, and people love it. Be honest even at your own expense. Put the best quality product out there that you can. Try to be a better version of yourself each day. When Jesse looks back toward the beginning of his business, he wished he knew in advance how hard it was going to be. But he is so glad he kept going. He says that perseverance will bring you through. Concerning the importance of time-management, Jesse encourages contractors to find systems and processes that will help identify things you can eliminate. God has been gracious to me. The book that Jesse recommends is called. Jesses admits that he’s made a lot of mistakes and learned some very hard lessons along the way. 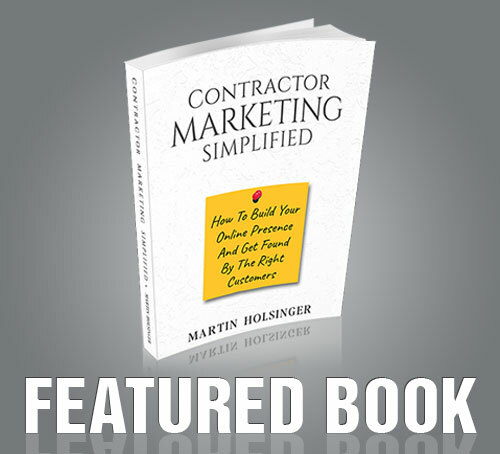 But he encourages every contractor out there to strive to be better every day. This was an awesome conversation! Listen all the way through and be inspired! Today’s Protractor Tip is given today by Brad Leavitt from AFT Construction. In this tip he shares some great advice on clearly defining the scope of your work! It’s a great tip! Our Featured Website Client today is Pabich Homes. Our book recommendation for today is The 7 Habits Of Highly Effective People. If you haven’t read it yet. You should get it and start reading it today! Protractors – Making A Difference!